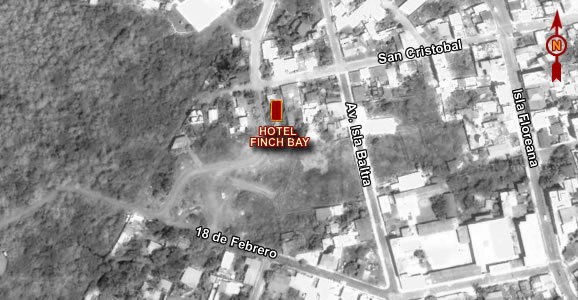 The Finch Bay Hotel, find the perfect place to vacation in the company of your family or friends. Located on Santa Cruz Island, two hours from the airport of Baltra, surrounded by lush fauna and mangroves. The hotel staff will ensure the best vacation and make your stay an unforgettable experience. Tourists in the Finch Bay Hotel can enjoy privacy of the surrounding nature and the excellent service, together with Darwin's finches living on its outskirts. The hotel has 21 rooms, beautifully designed and equipped with private facilities. Finch Bay is an ecological hotel with a new system of garbage processing and recycling. It also has focused on eco-tourism activities in a pristine natural environment.